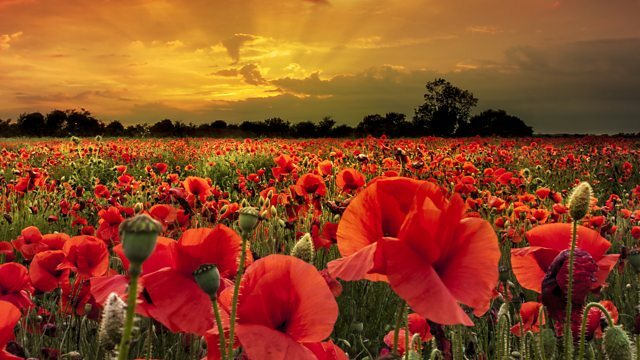 BBC National Orchestra and Chorus of Wales perform a concert to commemorate the centenary of the Battle of the Somme on 1 July at BBC Hoddinott Hall, Cardiff. Conducted by Adrian Partington, the concert will feature music by George Butterworth, Francis Purcell Warren, Gordon Jacob and Albert Roussel who all served or died in the Battle of the Somme. The concert also features music written in memory of the fallen, by Herbert Howells and Delius. George Butterworth and Francis Purcell Warren joined the infantry and fought at the Battle of the Somme in 1916. They were both lieutenants of their divisions and died fighting in the battle. Their names can be found on the Thiepval Memorial in France, which commemorates the Missing of the Somme. Alongside Butterworth’s melancholic A Shropshire Lad and Warren’s elegant Ave Verum, the orchestra performs Gordon Jacob’s First Symphony, written to commemorate his brother, Anstey Jacob, who was killed in the Somme. Gordon Jacob also served in World War One and was one of a small number of his battalion to survive. French composer Albert Roussel voluntarily served as an ambulance driver on the Western Front and following the war devoted his time to composition, writing Pour une fête de printemps in 1920. A fellow-student of Warren at the Royal College of Music, Herbert Howells wrote Elegy for Viola, String Quartet and Orchestra shortly after the death of his friend, dedicating the piece to him. In the concert’s finale, BBC National Chorus of Wales performs Delius’s Requiem, which is dedicated to the memory of all young artists fallen in the war. BBC National Orchestra and Chorus of Wales perform Somme on 1 July at 7:30pm in BBC Hoddinott Hall, Cardiff. To book tickets visit bbc.co.uk/now or call the BBC Audience Line on 0800 052 1812. Part of World War One from BBC Wales. Commemorating the Battle of the Somme in music, the concert will be broadcast live on BBC Radio 3.